There are several references to SNOW in the Bible. Some use the word to reference “clean and white.” Other references describe it being cold and part of a storm of ice, hail and wind. Whatever “camp” you are in, when it comes to the white stuff falling form the sky (and accumulating), it’s part of the world we live in. As many of you know (those that live in the Pacific NW), the Seattle area was hit with a bunch of this white stuff. In some areas, up to a foot of the fluffy powder has piled up. If you are not from around here, this is a big deal for our area, as we have lots of hills and not a lot of vehicles to clear the paths up and down the slopes. On top of the snow accumulation, it got cold – below 20 degrees cold – allowing the snow to turn to slippery ice, making for treacherous traveling. 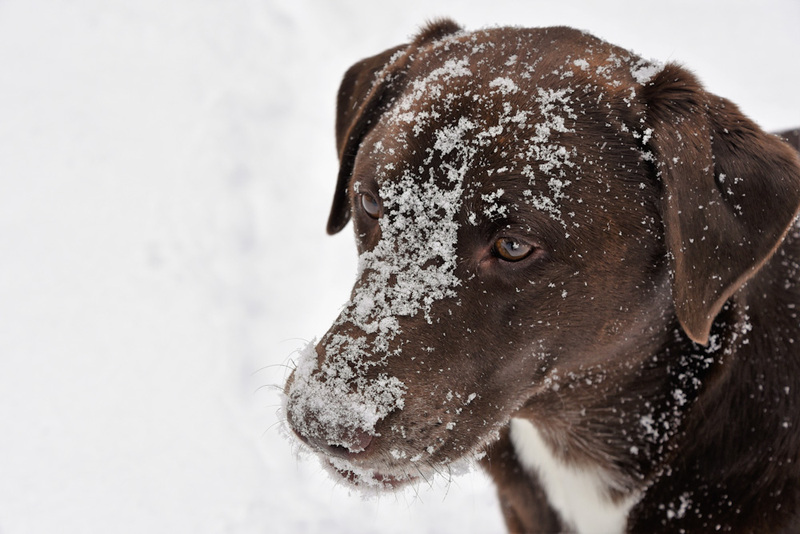 As you can see from my photo of my Chocolate Lab (Taima) – he LOVES the powdery frozen rain. He loves jumping in it, rolling in it, and most of all, attempting to find things ‘buried’ in it. This image is evidence he is making the best of the situation. Each and every day we are faced with different situations – some good, some not so much. I’m not talking about the weather, I’m talking about situations where we can choose to be a good influence/witness, or choose not to. Situations where we can be kind to others, or ignore others. Situations where we can shine the love of Jesus or choose not to reflect. Depending on the specific situation, these choices can be super easy, or super difficult. Can we make all these decisions/choices on our own? Nope. We need to, daily, ask for the Holy Spirit to work through us. Ensuring we are making the right decisions, to properly connect with others. Each morning — rain or shine, snow or wind — let’s ask for the strength and courage to be the positive influence this world needs. Let’s be like Taima (the snow loving good boy) and make the best of every situation.